When it comes to age, multiple sclerosis (MS) doesn't discriminate. 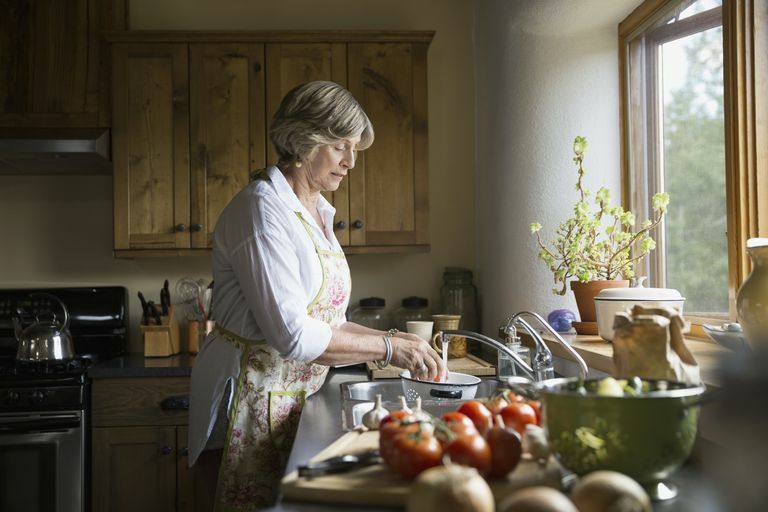 Although most people are between 20 and 50 when they're diagnosed, according to the National MS Society the disease can strike folks who are older. If you've recently found out you have MS and you're in your mid-50s or 60s or beyond, you may not have the same treatment options as someone younger, but this doesn't mean you have no options at all. Most people who develop MS later in life have a progressive form of the disease, in which there's a slow and steady decline in function due to permanent damage to nerves. It usually starts with problems walking—foot-dragging or stiffness in one or both legs. Over the course of months and years, the degree of disability increases. This is in contrast to relapsing-remitting MS (RRMS) in which people have flares—bouts of disability alternating with periods of normal function—that occur as a result of an immune system attack on myelin, the protective sheath that covers nerves. Once the attack is over, MS symptoms may disappear. Given the differences between the two main types of MS, it's easy to see how medications for one aren't likely to be effective for the other. The drugs for treating RRMS are called disease-modifying therapies (DMTs) that work by targeting the immune system. There are 15 such medications approved by the U.S. Food and Drug Administration (FDA) for treating RRMS. Only two of these also are approved for treating progressive MS, according to the National MS Society, and even those aren't approved for all forms of the disease. It's important to note that there are three types of progressive MS: primary-progressive MS (PPMS), secondary-progressive MS (SPMS), and progressive-relapsing MS (PRMS). The first of two medications that can be used to treat the progressive forms of MS is Ocrevus (ocrelizumab). This drug is given intravenously, 600 mg once every six months, with the exception of the first dose that is divided into two 300-milligram (mg) doses two weeks apart. The second drug, Novantrone (mitoxantrone), is approved for treating SPMS as well as PRMS (but no PPMS). It's given in 12 mg doses every three months. As with any powerful medication, both of these medications have side effects, including some that could especially problematic for older people. Ocrevus may increase respiratory infections. Novantrone, which originally was a cancer treatment, is too dangerous for anyone who has had chemotherapy or who has heart problems to use. Even though medications for the forms of MS most likely to affect an older person are limited and may not even be safe, there are many treatments available to help with the MS symptoms. These include physical therapy to help build muscle strength and to teach techniques to compensate for the loss of function. Occupational therapy (OT) can help you to modify your home so you're better able to work around your limitations in order to take care of yourself. This could include things like adding a bath transfer bench to your bathtub and rearranging kitchen cabinets so the items you need are easy to reach. You also can learn different ways to move your body with OT. National Multiple Sclerosis Society. Clinical Bulletin. "Aging with Multiple Sclerosis." 2011.